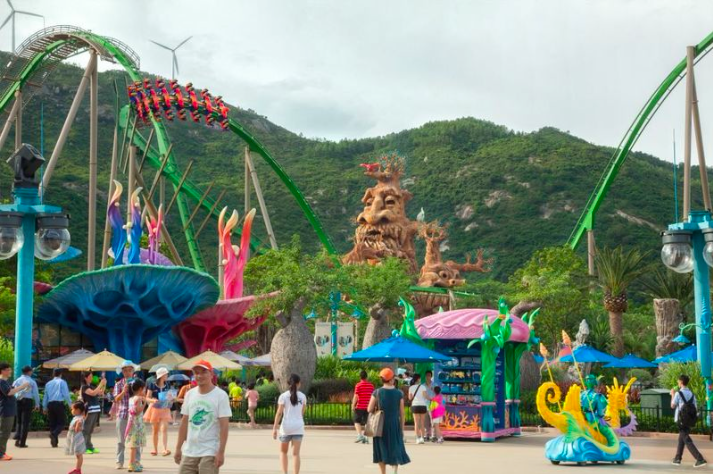 Ask anyone in the theme park industry today where everyone seems to be focusing their energy and you’ll get a resounding one word answer: China. With a population of over 1.3 billion combined with a rapidly rising middle class, which means there are a lot of Chinese citizens with expendable income looking for entertainment. 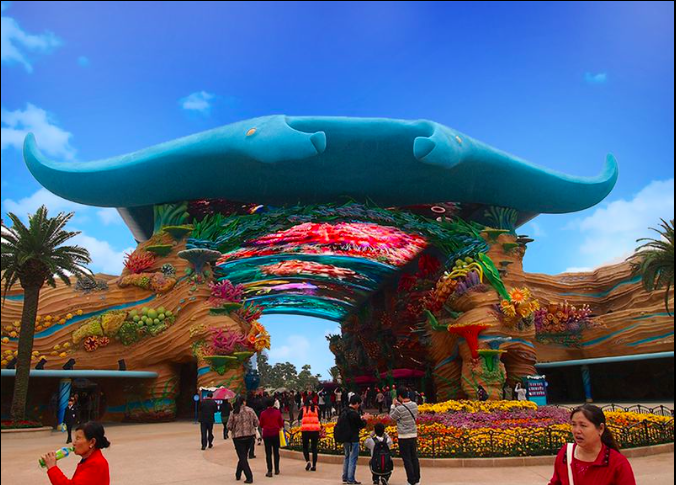 A perfect example is Chimelong’s Ocean Kingdom, which opened in March 2014 near Macau in Hengqin, Zhuhai. 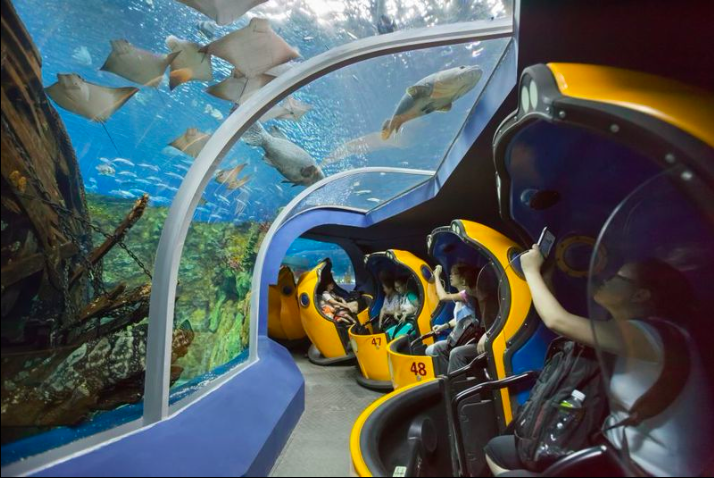 The 125-acre park gives a chance for guests to see ocean aquatic life up close and currently holds five Guinness World Records including: world’s largest aquarium, world’s largest aquarium tank, world’s largest aquarium viewing window, world’s largest underwater viewing dome and world’s largest acrylic panel. While it may be common knowledge in America what a polar bear, killer whale or dolphin looks like thanks to parks like Sea World and television shows on the Discovery Channel, many mainland Chinese residents don’t know that many of these animals even exist. 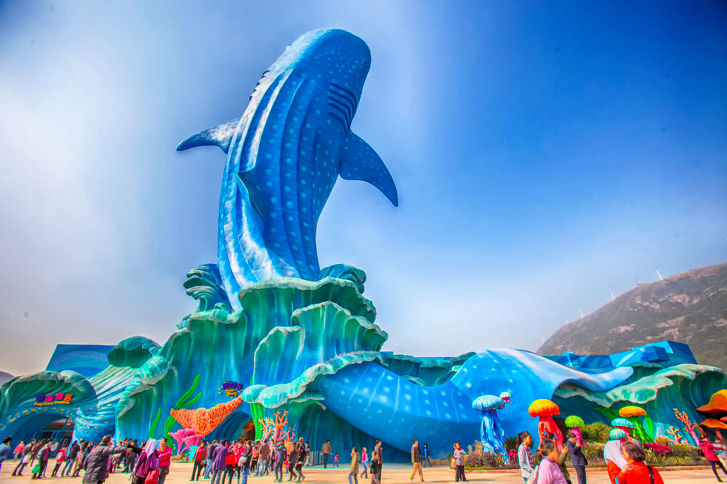 China is just becoming a country that is breaking out of its shell, so to speak, and theme parks are becoming not only an escape, but a way to learn about the world around them. 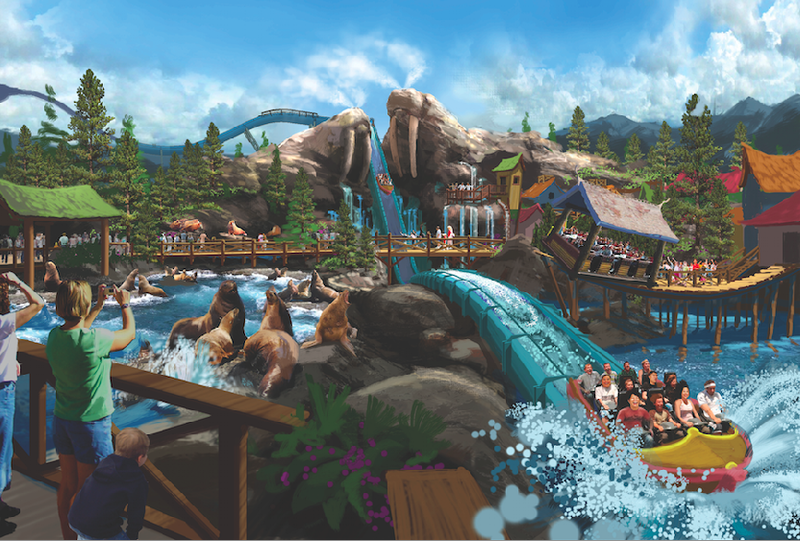 I recently got the chance to speak with the VP in charge of designing Ocean Kingdom, Al Cross of PGAV Destinations, about the unique challenges and triumphs of such a huge undertaking like the design of this park. 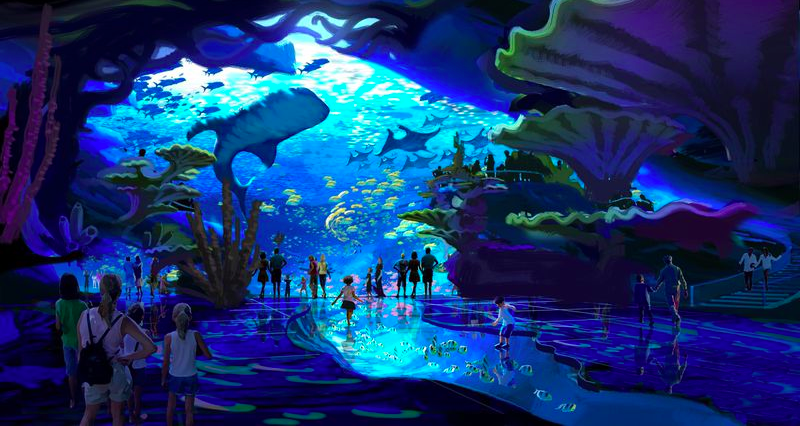 To give you an idea of why this was the right fit for Al and the PGAV Design team, they also did the master planning for Discovery Cove in Orlando, and spearheaded the expansions as well. 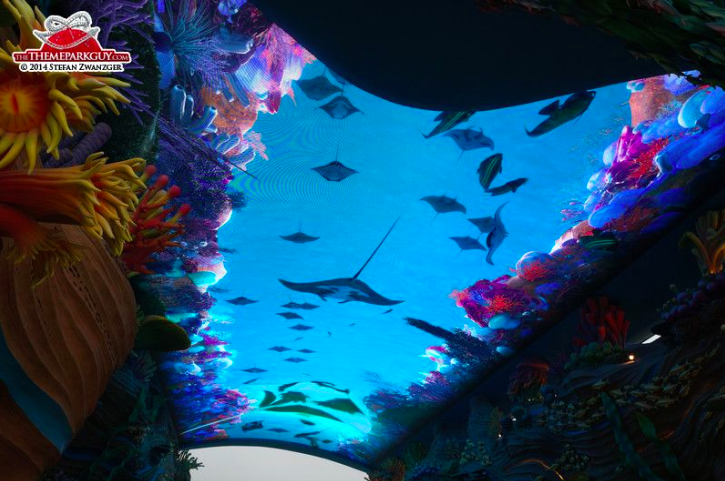 They were also in charge of the planning and designing of exhibits in the Georgia Aquarium in Atlanta. 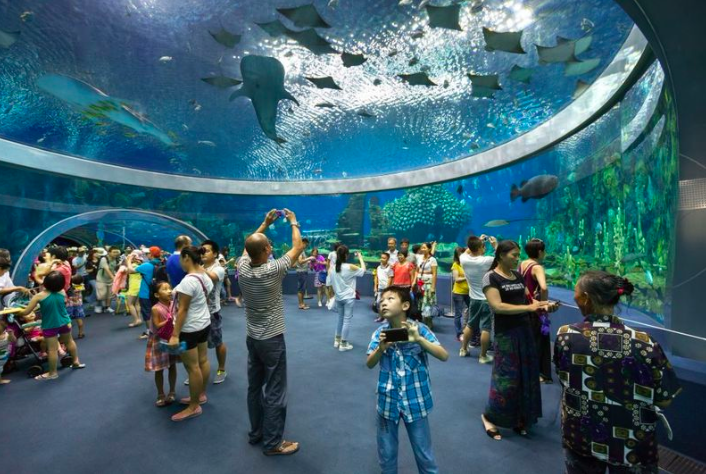 They were also instrumental in the design for Ocean Park’s Grand Aquarium in Hong Kong. So this was a perfect fit all around for Al and his team. Su Zhigang is one of China’s rags-to-riches stories that is fairly well known in the East. He actually started off as an entrepreneur opening up a seafood restaurant. Even today, the eatery is extremely popular and he now owns several hotels, China’s first privately-owned zoo and the Chimelong Group, which operates a safari park, a water park, hotels and of course, Ocean Kingdom. Thanks to Zhigang, the Chimelong name is synonymous with quality and he feels that China deserves to have attractions that can stand out on a global stage. 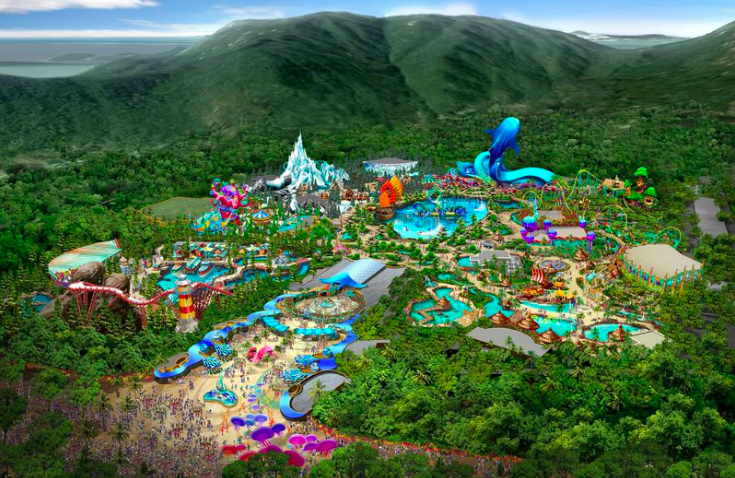 However, for designers PGAV, who are based out of St. Louis, working on a massive park like Ocean Kingdom came with its fair share of challenges when it came to adapting to Chinese culture. Another interesting aspect of Ocean Kingdom was how many “E-Ticket” attractions opened with the park. Intentionally, when a theme park opens, you design it with three or four big E-Ticket rides and then fill in the rest with smaller flat rides, 3D shows or even kiddie rides. Then you add more “big” rides as a draw to bring people back in later years. This is theme park design 101. However, Ocean Kingdom started off having big rides like China’s first winged coaster: The Parrot, designed by B&M. 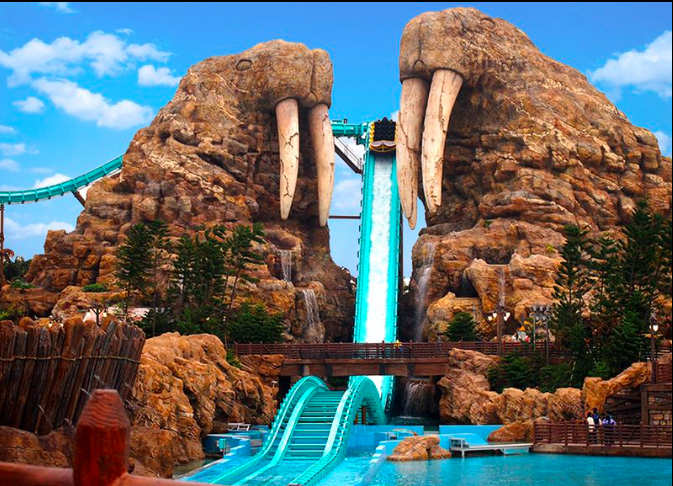 Mack designed the Walrus Plunge, a hybrid roller coaster and water flume ride. In addition, there are huge shows like Legend of the Seals and even a nighttime spectacular that includes lasers, pyrotechnics, video mapping, live performers and fountains. It’s extremely rare that a park opens with this many huge attractions, but Mr. Su insisted upon it. It turns out, at least so far, that his instincts were right. Even when the park started having soft openings in January they would have crowds of over 60,000 people per day. To give you an idea, those are numbers that Disney parks hit in the United States on a busy day, if they’re lucky. Also, something to keep in mind, Disney has been in the theme park business for over 50 years and Ocean Kingdom wasn’t even officially open yet. I asked PGAV’s Al Cross if you could draw any comparisons between Su Zhigang and Walt Disney and while he was quick to point out that he wasn’t quite ready to compare the two, there are definitely some similarities. It’s also worth noting that Ocean Kingdom is an animal-based park. 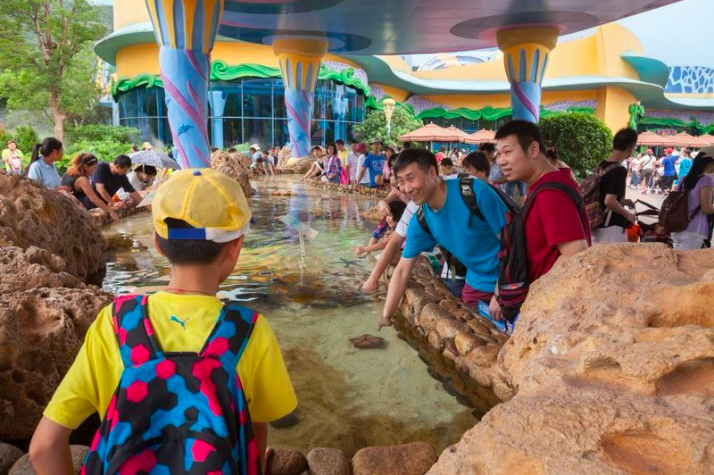 Each section of the park is dedicated to a specific type of animal habitat such as jungle, polar and even the ocean. Without getting into too much detail, the required living conditions for animals in captivity in China are often sub-standard to what we have in the west, or often times non-existent. 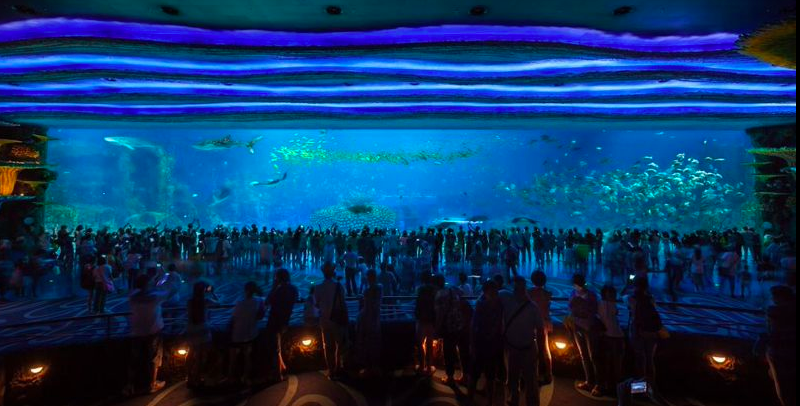 However, Ocean Kingdom’s animal habitats either meets or exceeds what you can find in any park in the West. “Mr. Su is a huge animal lover and wanted to make sure they were well taken care of,” he explained. 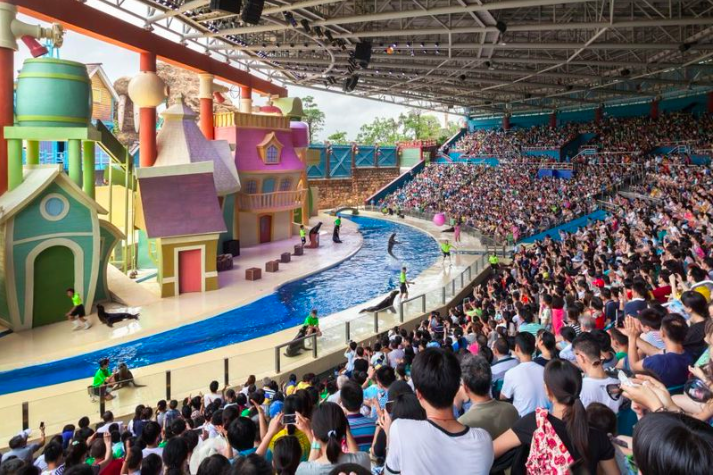 “You’ll see more animals in the shows in Ocean Kingdom than you will in a Sea World show, but the real amazing thing is to see the backstage areas where these animals are kept. 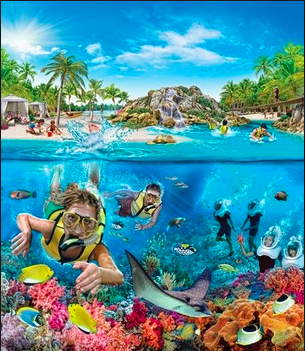 It’s fair for people in the west to draw similarities between Ocean Kingdom and Sea World and perhaps that’s fair. However, considering how many hotels, attractions, shows and themed environments Ocean Kingdom had on opening day, it seems to pale in comparison to what any one Sea World park has after being in operation for over 50 years. Not only is it a smash success, they are planning on expanding very soon and it seems the Chimelong brand may be one to compete head on with Mickey Mouse when it opens Shanghai Disneyland in 2016. It will be very interesting to see how China’s theme park wars start shaping up over the next few years and they are just getting started. 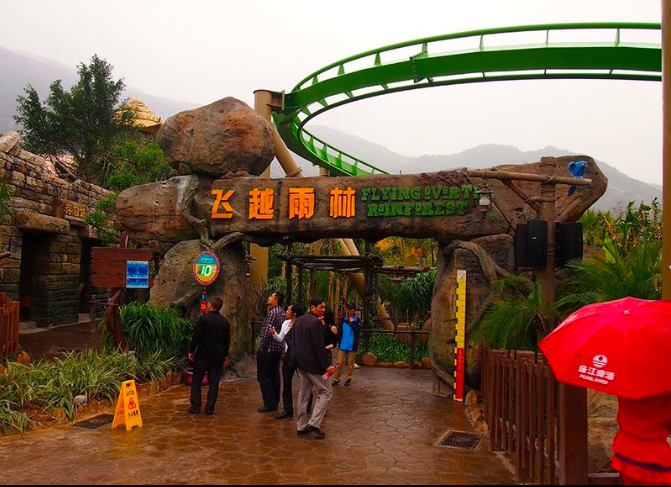 This entry was posted in International Parks, Theme Parks 101 and tagged Al Cross, Chimelong, chinese culture, marine life park, Ocean Kingdom, PGAV Destinations, Sea World. Bookmark the permalink. Trackbacks are closed, but you can post a comment. wow I love that TPU sets its eye globally and gives insight to theme parks that I would have never known about! 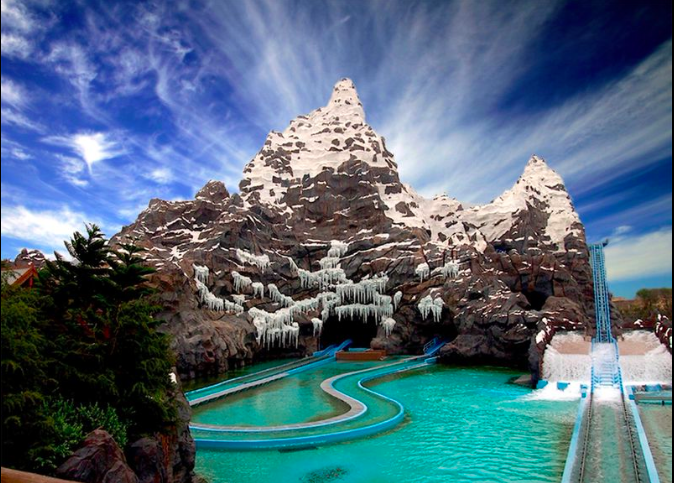 these pictures depict the mammoth proportions of this park. Usually renderings can be illustrious, to show off. but these towering walrus and park entrence canopy are truly larger than life! 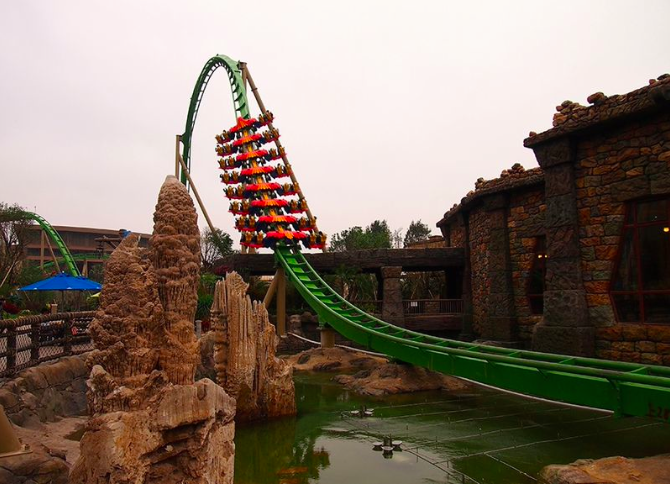 I agree, It will be interesting to see what happens with the theme park wars in China!